The late and great comic actor Chris Harris – star of countless pantomimes at Bath’s Theatre Royal – has been commemorated in a work of art that has gone on display at the Holburne Museum in the city. A ceramic figure of Chris – dressed as Window Twankey – is just one of eleven temporary installations from MA ceramics and textiles students at Bath Spa University’s School of Art & Design which have now gone on show throughout the building. It is the work of Paul Gunning who is a MA Design: Ceramics graduate this year and who has explained his choice of subject on a card alongside the figure. 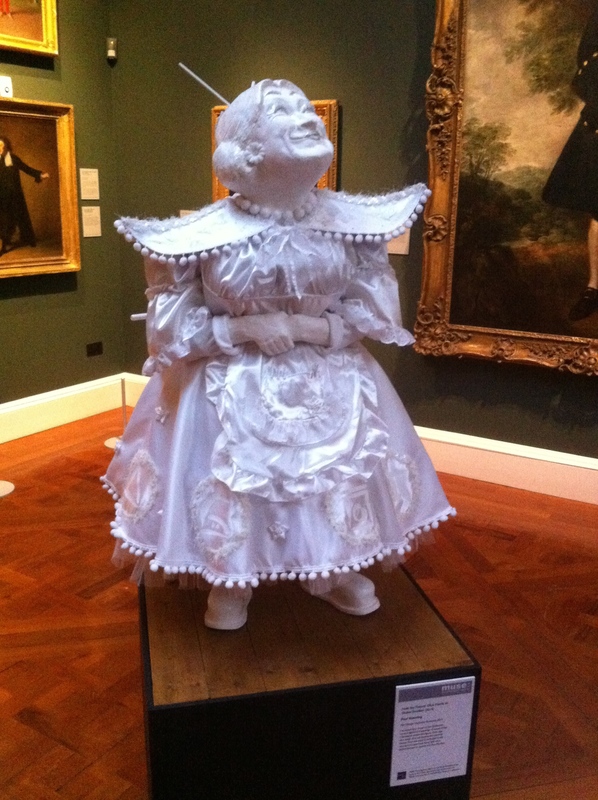 Paul says: ‘ I’ve always been drawn to the Holburne’s ceramic figures and paintings of actors. When l decided to create this figure, Chris was very much alive and heaving the matronly bosom. Well there’s no denying this would make a fitting installation for Bath’s Theatre Royal – if the money could be raised to buy it? 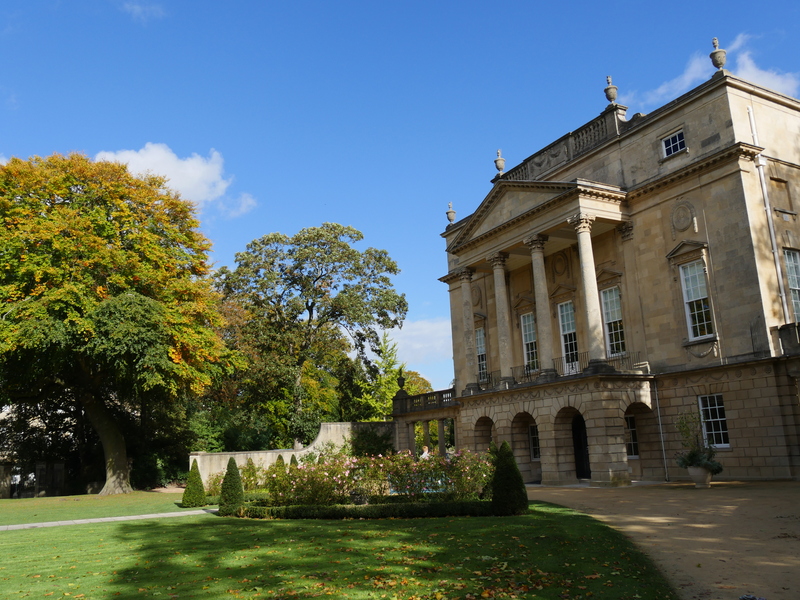 Meanwhile, the Virtual Museum has been down to speak to the Holburne’s Curator of Decorative Arts, Catrin Jones, who can explain exactly what the tie-up with Bath Spa is. Whether responding to individual pieces in the collection, highlighting objects not usually on display or commenting on Sir William Holburne himself, this exciting collaboration between Bath Spa University and the Holburne Museum will stimulate new interpretations and ways of looking. The show includes ceramics by Charlotte Asprey, Rupert Brakspear, Adele Christensen, Paul Gunning, Wen Hsi Harman, Elise Menghini and Richard Winfield, and textiles by Kate Bond, Jayne Goulding, Bronwen Gwillim, and Carole Wadham. The exhibition graphics were designed by Paul Gunning.